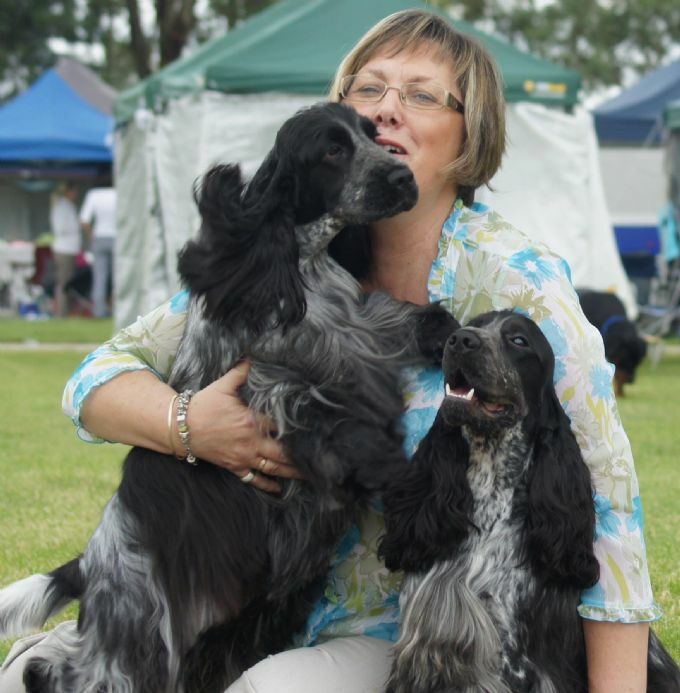 Welcome to Bellebriar Cocker Spaniels. We are located in the beautiful foothills of the Blue Mountains about one & half hrs drive north/west of Sydney. I share this beautiful part of the country with my wonderful Husband, 3 children and our very merry Cocker Spaniels. Here at Bellebriar pride we our selves in breeding quality not quantity, all our cockers are DNA tested as per breed requirements. Results are available upon request. A great deal of thought and planning goes into each litter. Our dogs live together in a clean and loving enviroment they are not kennel dogs but have the full run of our very well fenced property. We are very proud of our dogs and their show records, having notched up many class in Show, class in Group, Best In Group awards, with our young dog Aust Ch Bellebriar Bounty taking our best in Group at the 2007 Bathurst Royal. These awards being at both Speciality and All breeds shows. Please take a stroll through our site and meet our wonderful dogs and also some of the dogs we have bred who share their lives with their wonderful owners.